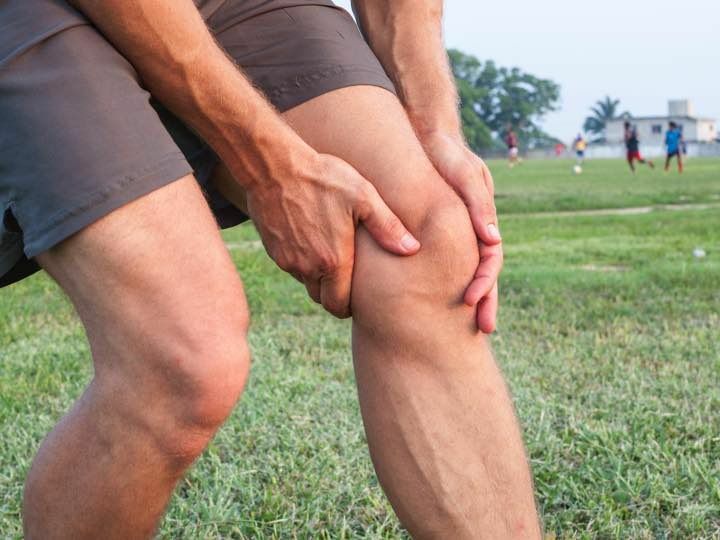 WASHINGTON -- Retired male soccer players are more likely than the general population to have knee problems including osteoarthritis (OA), according to researchers from Great Britain, who also identified intra-articular injections as a key risk factor for long-term knee troubles. These are the first hard data implicating knee OA as a hazard of playing soccer professionally, said the researchers with the University of Notthingham School of Medicine (led by Gwen Fernandes, PhD, and Sanjay Parekh), who shared results from two related studies involving former professional soccer players at the annual meeting of the American College of Rheumatology. In a case-control analysis, retired players were two to three times more likely to have knee problems than a control group drawn from the general East Midlands population in Britain, and suffered them at younger ages (10-15 years earlier for knee pain; 20 years earlier for OA; 5 years earlier for knee replacement). Nearly two-thirds of the ex-players had sustained a knee injury, compared to about one-quarter of the control group (P<0.001). And, while the ex-players fared better than controls regarding comorbidities (29.4% vs 45.7%, P<0.001), three significant risk factors applicable to playing days were associated with knee problems later in life: Previous knee injury, arthroscopic or open surgery, and intra-articular injection such as a cortisone shot. The second study involved the same 1,207 ex-players plus 472 others who agreed to undergo bilateral knee radiographs. Overall, about 52% reported knee pain. The analysis identified a number of factors significantly associated with knee pain, including BMI of 25 or greater, digit (2D:4D) ratio, and family history of knee, hip, or hand OA. Three other factors, however, showed the strongest associations with knee pain in retirement: history of joint injury (OR 4.22, 95% CI 3.26-5.48), joint surgery (OR 4.19, 95% CI 3.23-5.43), and intra-articular injections (OR 2.55, 95% CI 2.01-3.25). But among these, only a history of surgical intervention was significantly predicted knee OA diagnosis, and none showed even hints of an association with need for knee replacement. Limitations included possible recall and selection biases, and the study's restriction to British men's pro soccer, the researchers noted. Nevertheless, Parekh urged that soccer organizations should consider how to minimize risk of knee injury for current pro players. (Other recent studies suggest this as well).